Designed and created by highly recognized OB/GYN providers. 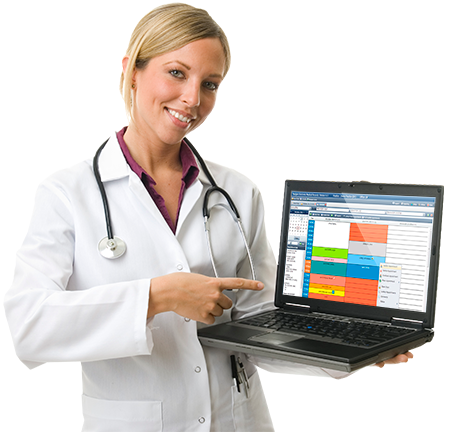 Medgen OB/GYN EHR is specifically designed for busy OB/GYN practices. Automated care plans eliminate stress and legal risk while improving patient outcome. OB/GYN practices face unique challenges. Not only do you need to manage long term preventative care and chronic health issues, you also need to document and track pregnancy progress and manage risks. Medgen monitors the progress of a pregnancy for you so that no test or referral is ever missed. In addition powerful care plans implemented in the system will guide you through high risk pregnancies and lets you manage and reduce the liabilities associated with such cases. Track progress of pregnancy as well as document each visit. Graph EFW using Hadlock, Wlliams, Brenner, and Shepard. Calculate EDD and record each visit. The system will alert you of all necessary procedures, tests and more that are due for each visit. Easily document GYN or non-OB related visits. For more information, visit our contact page.